X-Stand is a tree stand manufacturer in Minnesota that focuses on building the safest and most innovative tree stands in the industry. 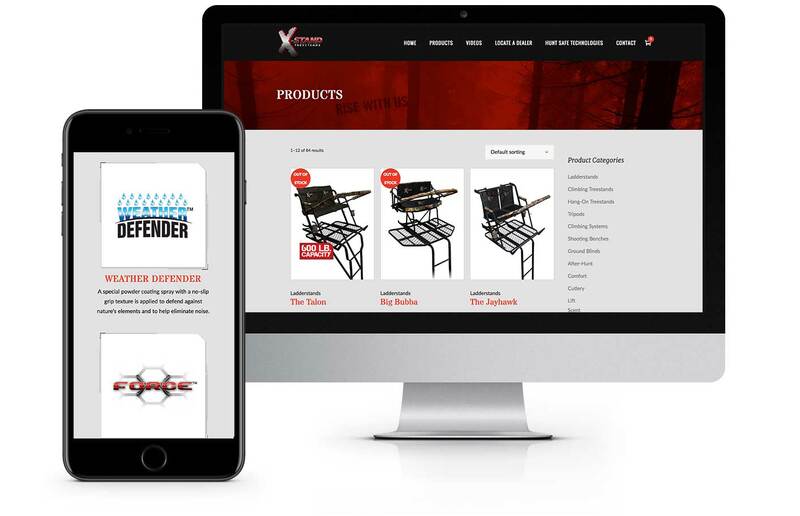 With the help of Virtual Monk’s design on the x-stand.com website, the company has grown massively, getting into many new stores and becoming one of the top-recognized names in the hunting and tree stand world. As an ongoing partner, Virtual Monk makes continual updates to their ever-growing website.